Sands China Ltd’s sizeable investment in non-gaming attractions is paying off handsomely in reward in the form of live gaming tables. The operator announced recently it would be granted some 200 new additional tables by the government, some of which will be online in time for the busy Lunar New Year holiday. “We received a letter from the government” confirming the table allocation, Sands China chief executive Edward Tracy told reporters last month. The allocation is the result of a decision by the government to reward casino operators who have stepped up to the plate in terms of non-gaming investment. According to Secretary for Economy and Finance Francis Tam Pak Yuen, only Sands China and Galaxy Entertainment Group Ltd will be entitled to increase their live gaming table allocations this year. Galaxy Entertainment will get 50 new tables. “When the first phase of Galaxy Macau was completed, the government allotted a total of 450 gaming tables to the company; 400 tables were approved when it was opened and 50 more gaming tables are to be approved,” Mr Tam said last month. He stressed that this year, the government would not be approving any more tables to existing casinos belonging to the other gaming operators. SJM Holdings Ltd executive director Angela Leong On Kei had already confirmed earlier that the gaming operator planned to apply for more tables. Mr Tam says there will not be a significant increase in the number of tables operating in the upcoming two years, until new casino properties start opening in Cotai. As of the end of December, the city had 5,485 live gaming tables, close to the maximum limit of 5,500 tables set by the government for the 2010-2012 period. Sands China’s request for 200 new gaming tables is old news. The company was first expecting to be granted the tables last September, when it opened a second casino in Sands Cotai Central. But with the 5,500-live table cap imposed by the government virtually used up, the company’s request was left unattended. Instead, it had to shift tables around its properties. Now Sands China has its tables, analysts expect the operator to reinforce its dominance in Cotai, especially in mass-market gaming. 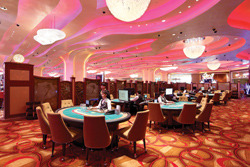 The firm will now hold about 26 percent of the total table count in Macau. However, the company still needs to work with the gaming regulator regarding when and where the tables will be allocated. CLSA analysts Aaron Fischer and Richard Huang have forecast that the additional tables could translate into an extra US$511 million (MOP4.1 billion) in net revenue a year for Sands China if allocated to the mass market. This latest 250-table grant leaves some questions unanswered. There are concerns the remaining supply will not meet the needs of new projects opening in Cotai. In 2011, Mr Tam announced that the government would restrict gaming table growth to an average rate of 3 percent per year, starting this year. He recently reaffirmed the goal, adding that the overall number of live gaming tables should only increase by 2,000 in the next 10 years. The announced 250 new gaming tables already represent an increase of 4.6 percent. With at least six new casinos set to open in Cotai in the upcoming years – one per gaming operator – each property would be allowed about 300 tables on average. It is less than most operators want. SJM said in a press release it plans to develop a casino in Cotai with the capacity for up to 700 gaming tables, while MGM China Holdings Ltd wants its property there to have about 500 live tables. Mr Tam says that the government has yet to decide on the number of gaming tables to be assigned to each of the new gaming projects already approved for Cotai. Again, investment in non-gaming facilities will be taken into consideration. “The decision to assign gaming tables does not come out that quickly because we have to consider all the new projects in Cotai and give out the approval as a whole,” he said last month. Macau-based economist Albano Martins says it is a mistake for the government to cap the number of live gaming tables. “This policy makes no sense, especially since the government says it wants to promote mass gaming,” Mr Martins told Lusa news agency. “That is also what casinos want because it is more beneficial for them” since, unlike VIP gaming, they do not pay commissions to junket operators. But with table supply restricted, that shift becomes considerably harder to make. Citigroup forecasts that Sands China Ltd is going to be the only gaming operator in Macau to see a rise in market share this year. The investment bank expects Sands China’s share to increase by three percentage points, to 22 percent, as Cotai Central completes its first full-year of operations. According to Citigroup, Sands China was already one of the two biggest market share gainers last year, alongside Galaxy Entertainment Group Ltd. Both operators had a 19-percent stake last year, both up by three percentage points in comparison to 2011. 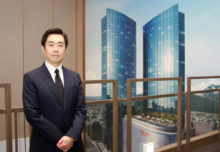 Citigroup expects Galaxy Entertainment Group to lose one-percentage point of market share this year, most of it likely to come from casino hotel StarWorld and as a result of Cotai Central’s first full-year of operations. Both SJM Holdings Ltd and Wynn Macau Ltd should continue to lose market share this year, the investment bank says, after falls last year.